The Board of Directors of the Association consist of 16 members who represent different member constituencies. It is the executive body of the corporation that shall implement policy and perform the duties usually associated with the board of directors of such an Association, together with duties which are prescribed in these by-laws and Standing Rules, and in the laws of the state of Colorado. It shall be the duty of the board of directors to promote the programs of the Association and to develop and maintain cooperation with the state and national associations. ( BOD / Officers ). What is the Westminster Education Association (WEA)? In simple terms the WEA is an employee union. It is a “wall to wall” union, which means, it contains both certified and (ESP) Educational Support Professional employees. WEA is a unified group of professional coworkers who want fair and equitable treatment and have a voice in the future of education. WEA is the exclusive representative of and negotiating agent for the certified and classified staff in School District 50. What is the structure of the WEA? BOD - A 16 member Board of Directors directs WEA. They are elected by the members on a staggered basis each spring. The BOD is the governing body of WEA. President - WEA has a full time release president who advocates for the members and public education. 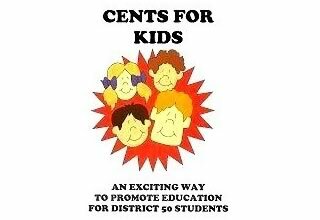 The salary of the president is paid for by School District 50. The president answers to the BOD, akin to the superintendent answering to the elected Board of Education. ARs - The “worker bees” of the organization are the Association Reps. Each building has the option of having one AR or an AR that represents the teachers and an AR that represents the ESP members. AR’s can be elected but traditionally are dedicated volunteers. The AR’s are the conduits between the buildings and the WEA central office. The AR’s wear a lot of hats and as building representatives do an invaluable service for the organization. Political Action Rep - WEA also has a Political Action Rep in each building to foster political action for the benefit of public education. Membership Chair - The Membership Chair is responsible for helping to promote membership in WEA. Is WEA affiliated with other association/unions? Yes. Members of WEA are also members of the state organization, the Colorado Education Association (CEA) and the National Education Association (NEA). In addition WEA is aligned with the Boulder Valley Education Association (BVEA), Boulder Valley Classified Employee Association (BVCEA) and Boulder Valley Paraprofessional Association (BVPA) to form a UniServ unit. WEA/BVEA/BVCEA/BVPA has two full time UniServ directors who are experts in legal and advocacy matters as well as numerous other areas of expertise. They work for both units and share time in each. How many members are there in each association? WEA has roughly 631 members. CEA has 38,500 members and NEA has 3.2 million. Combined the NEA is the most powerful voice for public education in the U.S.
What are the benefits of belonging to WEA? The benefits of belonging are many, for a comprehensive breakdown visit the member benefits link. What does it cost to belong to WEA? The costs vary depending on your membership as a certified member or ESP member and your educational length of service if you work part time or full time. See the Membership Form - for current amount. Is there a body of operating rules for the association? Yes. WEA has a set of standing rules and operational bylaws. The Board of Directors all have a copy of these documents and the documents are attached to this website. How do I contact WEA?